what is pulsed dye laser treatment? 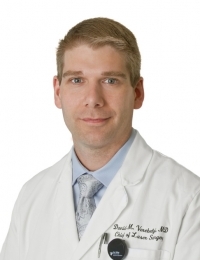 » Watch Next Video by David Verebelyi, MD - What causes leg swelling? What is pulsed dye laser treatment? Pulsed dye laser treatments are used to treat small veins. What we actually do is we take a laser that collects very well in hemoglobin, the red pigment in blood. We use that to keep vessels up to get rid of them. We use pulse dye laser treatments for a variety of different procedures. These include treatment for things like rosacea or a lot of times people just get sun damage and will get small vessels around the nose and they want those treated. Occasionally too, we see patients with vascular birth mark - these are things like Port-wine stain and hemangiomas where post dye laser treatment is the treatment of choice. When somebody has a post dye laser treatment, they come in, we simply take some pictures and wash the skin. The laser actually heats up the blood vessel without damaging any of the surrounding tissue. So we are able to get that blood vessel out of the way without any damage to any of the skin. Treatments only take anywhere from 15 to 30 minutes, it just depends on how big the area is. When people ask how many treatments they need, that really depends on what we are treating. For smaller vessels, a lot of times, one to two treatments will be enough. In cases where we get vascular birthmarks, such as Port-wine stains, it can be 5-10 or even more treatments in order to properly treat those patients. Treatments are pretty quick and they are not very painful. They only thing is that you can go back to your normal activities right afterwards.